When a disastrous flood hit Cedar Rapids, IA, in 2008, it left the downtown area, including the historic Paramount Theatre, under water. Listed on the National Registry of Historic Places, the Paramount Theatre has a long history and is one of only about 300 historic movie palaces left in the country. It originally opened on September 1, 1928 as the Capitol Theatre. Paramount Studios purchased it and renamed it the Paramount Theatre in 1929. After many years, it was given to the city of Cedar Rapids in 1975, and shortly thereafter, a $400,000 renovation returned it to its original state. Another renovation was completed in 2003. Costing $7.8-million, it involved the addition of a 57-ft. wing, new HVAC, restrooms, carpet and seat coverings, plaster work repair, electrical and fire system updates and the addition of the Guaranty Bank Reception Hall. Then, just a few years later, the devastating flood of 2008 wiped out all of that work. The city brought in OPN Architects, of Cedar Rapids, a firm that was also working on a number of other buildings in the area, to save the Paramount Theatre. 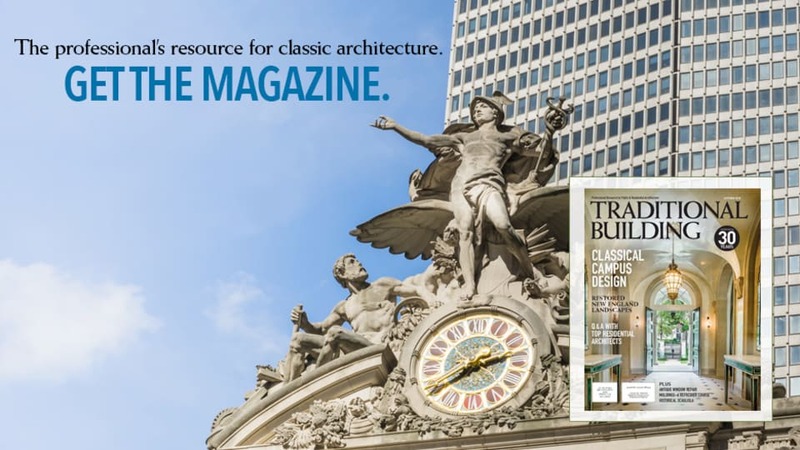 They, in turn, called in Martinez + Johnson Architects of Washington, DC, specialists in historic theaters, to work with them. One of these requirements was moving everything – including all mechanicals – out of the basement. The mechanicals are now housed in an addition built on top of an adjacent building. The performers’ dressing rooms were also moved out of the basement and are now on the second floor. The lower level now provides an additional lounge with bar service and restrooms. Other improvements to the 80,000-sq.ft. theater included wider, more comfortable seating with more knee room, improved acoustics (Threshold Acoustics of Chicago, IL, was the consultant) and improved performance area and equipment. Theater designer Shuler Shook, of Minneapolis, MN, was the consultant. 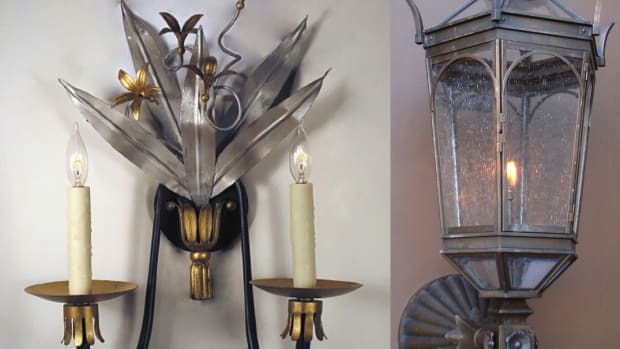 In addition, the chandeliers and other historic lighting fixtures were removed and restored by St. Louis, MO-based St. Louis Antique Lighting Co., using energy-saving LED fixtures whenever possible. The theater’s iconic Wurlitzer organ was also saved and restored, under the direction of JL Weiler Consultants of Chicago. The case was destroyed in the flood, but the hidden valves, pipes and bellows could be removed and restored. A national search turned up parts to replace those that were lost. One of the most visible parts of the project was the restoration and re-creation of the interior historic finishes, including plaster work and decorative painting. Most were damaged or lost. 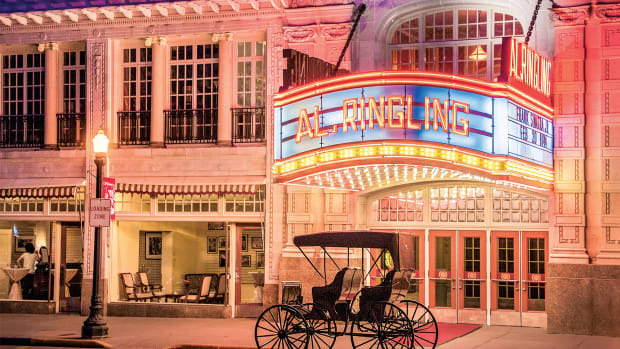 The goal was to restore the historic theater to its original conditions, following the Secretary of the Interior’s Standards. 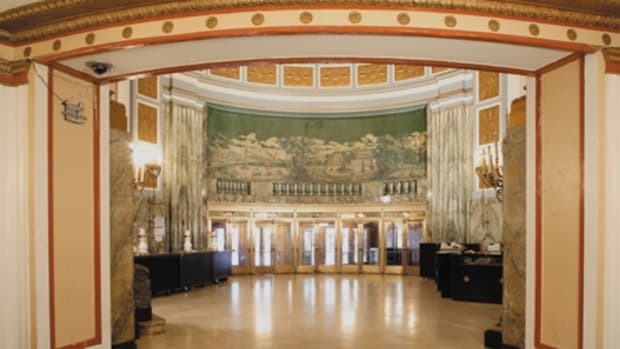 Once the mold was remediated, work began on restoring the historic interior of the theater. Ornamental plaster was repaired and reproduced by Olympic Companies, Minneapolis, MN, based on historic photos, and other historic investigation. Conrad Schmitt Studios, of New Berlin, WI, was the decorative arts and decorative painting contractor. 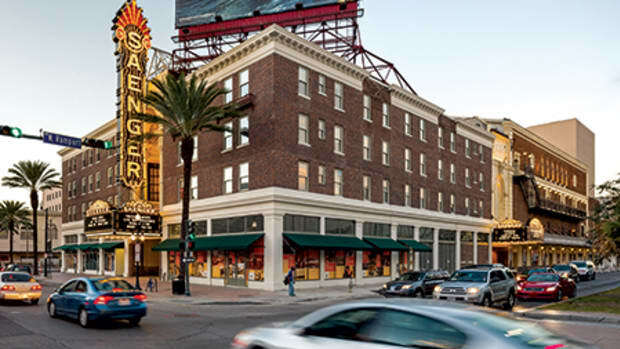 “The theater needed extensive repair and renovation,” says Kevin Grabowski, national projects director, Conrad Schmitt Studios. The firm first did exposures and samplings to determine what had been there originally and to show others what to expect. 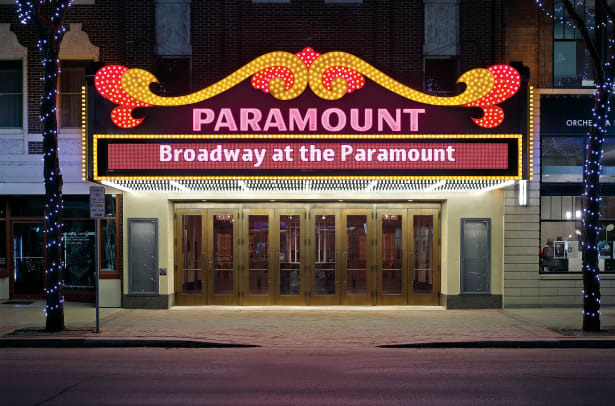 The restored historic Paramount Theatre – a $32-million project – reopened in 2012, on time and ready for the symphony’s appearance. The entire project took only 4½ years, about half the normal time for the restoration of a historic theater, according to Johnson. “I cannot overstate Ryan’s value to the project, especially the efforts of John Ryan, the project manager, and of Steve Chia, the site person who took a particular interest in the preservation strategies. Jim Kramer was also instrumental, start to finish,” he adds. The project has received a number of accolades, including a 2013 Honor Award from the Iowa Chapter of the AIA; a 2013 Silver Award, 30th Annual Reconstruction Awards, from Building Design + Construction; and a 2014 Project of the Year Award from the American Public Works Association.